Konica Minolta offers a wide range of print solutions for any-size business, giving you the document solution that best fits your needs — and allowing you to replace legacy desktop devices with fast, cost-efficient, networked printers that speed your output, improve your image quality and help you keep ahead of rising workloads. Konica Minolta has won numerous awards and recognition over the years, including being recognized as the #1 Brand for Customer Loyalty in the MFP Office Copier Market by Brand Keys for seven consecutive years. Going above and beyond what no other company in the industry has been able to achieve, Konica Minolta’s bizhub MFP A3 line has also been named as the “A3 MFP Line of the Year” for an unprecedented four years in a row. As a Konica Minolta authorized premier dealer, All Star Business Systems aims to provide the Guam and Marianas business community with Konica Minolta’s world-class multi-function printers and more. Contact us directly to have a business specialist determine which copier is right for you. 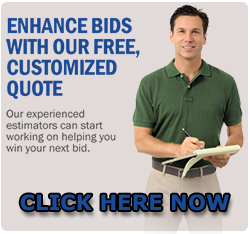 Our FREE needs analysis can be conducted within a day or two. Here are some of the products we carry in the Konica Minolta line. Contact a Business Specialist to find out our full line of Konica Minolta Business Class Copiers.